I still remember the excitement I felt during my first spring in Wisconsin. 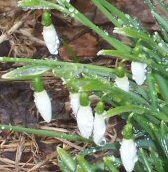 As the snow slowly began to release its grip on the landscape, I was delighted to discover that many plants had already begun their emergence from the semi-frozen ground -- long before the white blanket had begun melting away. 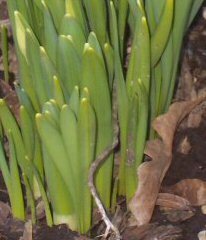 I still remember the fun and anticipation of stumbling upon new growth poking its way out into the brightening days and warming air. I enlisted family and friends, new and old, to help me guess what each new discovery would eventually turn out to be. 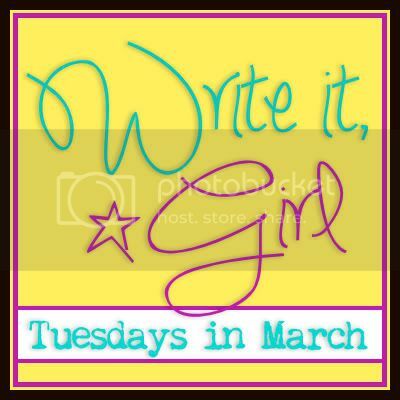 It might not have been THE Long Winter that Wilder wrote about all those years ago in their later home of South Dakota, but it had been A long winter for this Texas girl who had never before seen more than an inch or two of snow. 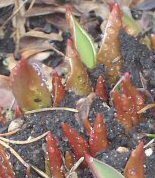 But what really excited me, more than the emerging bulbs, were the native wildflowers I would later find peppering the grass or hiding here and there. 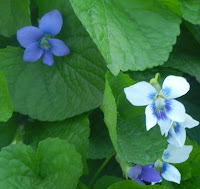 The violets (pictured at top) were scattered all throughout the yard -- lavender, yellow, and white with a purplish blush. 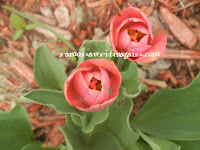 I dug up several clumps and planted them in the flower beds near the house. 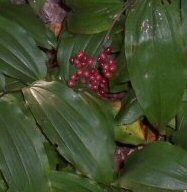 I quickly identified Solomon's Seal growing underneath a small grove of trees, and marked it as off-limits to any weeding efforts by the dude. He was already on high alert, because a lone Purple Coneflower had been spotted and flagged in that area by me the previous autumn. I am a native plant nut. When I learned that we would be moving to Wisconsin for sure, one of the first things I did was to order a book about my new state's native plants. I had begrudgingly adopted native plants in my Texas landscape (as few other things would survive), and had since grown to love them. 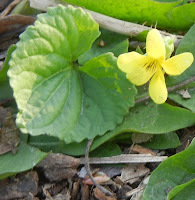 I looked forward to loving new native flowers, and to embracing northern cousins of familiar southern plants. But that's been tougher than I expected. Native plant nurseries are harder to find up here. I once, after weeks of searching, read in the paper about a lady from a local nursery who'd recently spoken about the importance of planting natives. I eagerly visited her nursery the next day, only to be disappointed by the measly selection of natives in her vast greenhouses. Wisconsin springs are no longer dotted with buttercups, thimble flowers and tiny starry grassflowers. 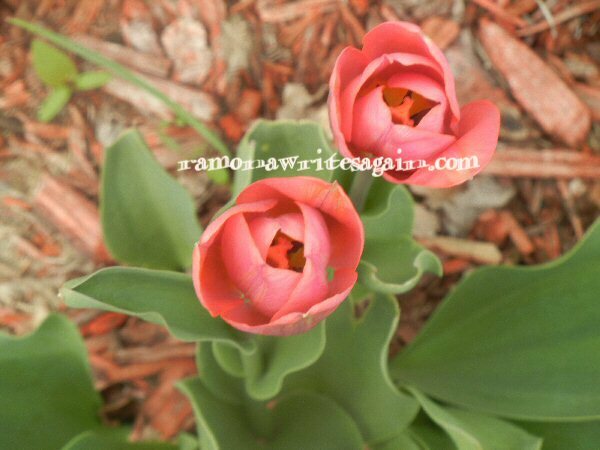 (I'm still trying to figure out exactly which plants Laura Ingalls Wilder was probably referring to.) My yard is one of the few still decorated throughout with the lovely little violets. Unlike the roadsides of Texas -- proudly teaming with native wildflowers for miles on end, the Wisconsin highways are plagued with Chicory, Queen Anne's Lace, an ugly type of Daylily, Dame's Rocket, and other invasive, habitat-destroying weeds. With the exception of the scraggly Daylily, most are pleasant looking plants, until you find out they're the bad guys. I think it's also that we're spoiled here in Wisconsin. The rains come so often that the need for natives doesn't seem as pressing. 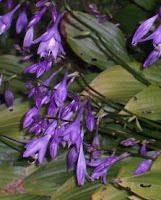 Hostas are the plants of choice here. It's funny, I tried hard to grow Hostas in Texas many years ago, after seeing them featured in Southern Living magazine of all places. But apparently Texas is too southern even for a magazine about the South! Now that I can grow them all these years later, I don't really want to. I've kept the two that first greeted me in my Wisconsin back yard, but I doubt I'll ever add to the collection. The bulbs that everyone else grows are a different story. They're much harder to resist. 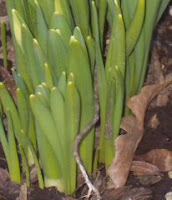 That urge, that need to see something in bloom after a long winter is unrelenting, and bulbs do provide an easy fix. I doubt I'll ever rid my patch of the world of every bulb that graces spring. But, I will not give up my quest to decorate my landscape with the lovely native wildflowers seen long ago by a little girl in the big woods of Wisconsin. I've been known to drive 4 hours round trip to find a nursery that sells them, just so that I could see them in person. Oh, and I'm pretty sure I need a crooked rail fence now, too!